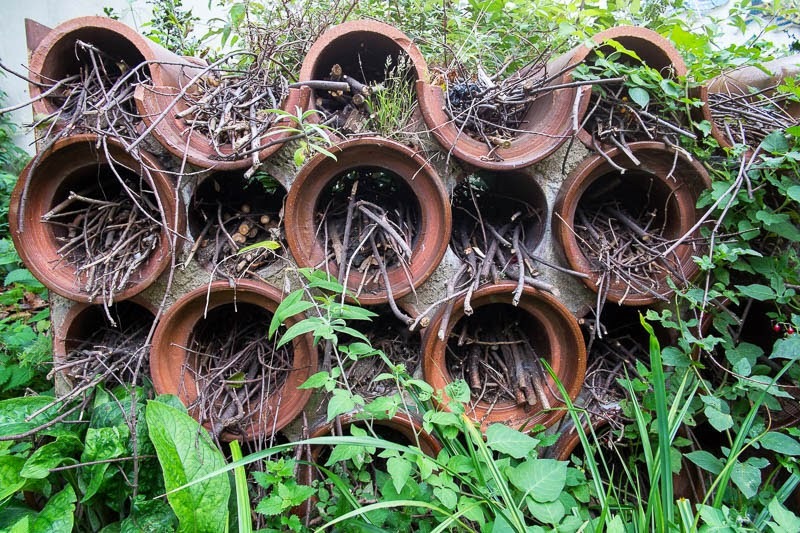 It might look like a bunch of discarded old pipes, however it is a bug farm. All sorts of creepy crawly things to amuse the children at the nearby school. 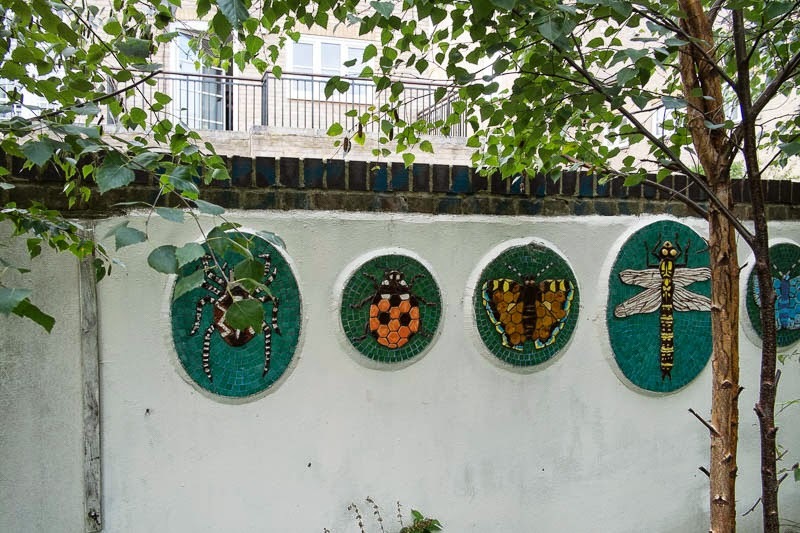 Mosaics of the critters made by the children in collaboration with artist Monica Shanta Brown, surround the animal farm. Great project for youngsters to be getting involved with. Judging from the art on the wall, the children really enjoy this. I think that's the first I've heard of such an idea. I like that! Similar to the 'insect hotels' we have here.